The 35-year-old naval architect from Larmor-Plage in France crossed the finish line in Guadeloupe after 16 days, 3 hours and 22 minutes at sea on board his Class40 yacht, Veedol-AIC at 16:22.45hrs UTC Tuesday afternoon. Britain’s Phil Sharp on Imerys Clean Energy is in a battle with Aymeric Chapellier on Aina Enfance Et Avenir for second place as they round Guadeloupe. Sharp is 3.5 nm behind Chapellier with 44 nm to the finish. The Class40 division was the most numerous of the six classes in the 3,542-nautical mile race with 53 skippers taking part. 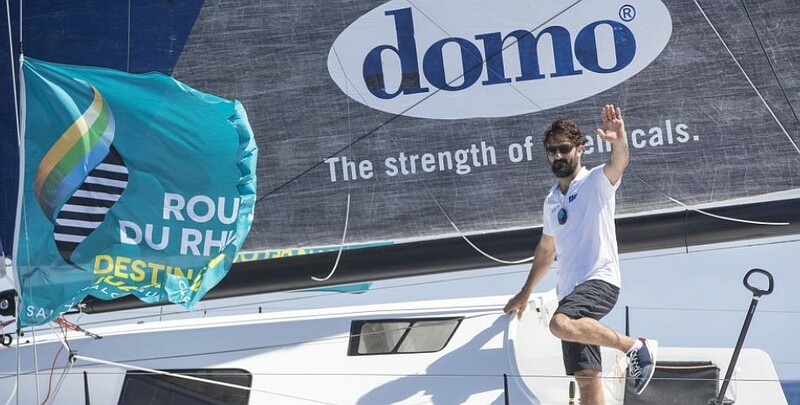 Thomas Coville, the veteran French solo offshore ocean racing sailor, became the third skipper in the ULTIME class to finish the 2018 Route du Rhum-Destination Guadeloupe yacht race. Colville’s race time was 16 days, seven hours, 45 minutes and 36 seconds. That includes a lengthy stopover of almost six days in La Coruna in northern Spain where repairs to the forward beam of his giant trimaran Sodebo Ultim’ were carried out.